Native to parts of Europe and Asia are beautiful shrubs that bear dark purple berries. The deeply pigmented berries from these shrubs boast chart-topping levels of health-promoting phytonutrients, such as anthocyanins, flavonols, and phenolic acids. These compounds protect the plant from pests and parasites and give protective properties, which include antioxidants, antimicrobials, and anti-inflammatory activity to those who consume them. But the most important thing for us would be that these berries can heal both high blood pressure and type 2 diabetes. In addition to the antioxidant properties, blackcurrant seeds are famous for their high levels of polyunsaturated fatty acids, notably the essential fatty acid gamma linolenic acid, or GLA. 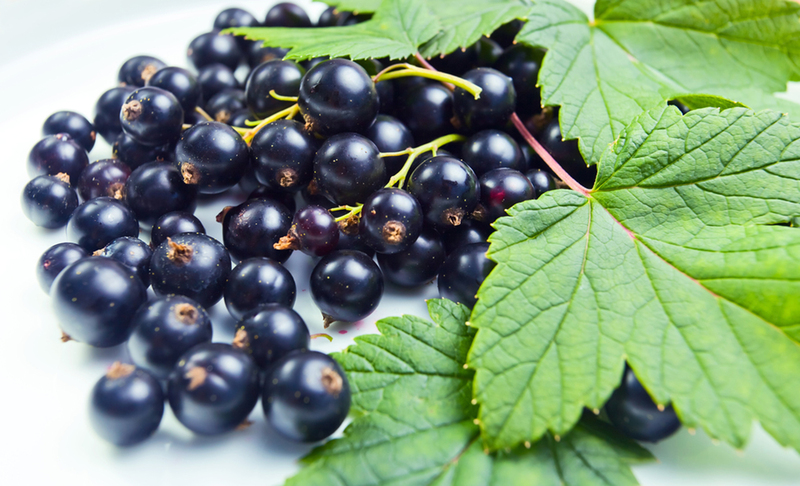 Blackcurrant has been used in traditional herbal medicine to treat a wide range of health conditions, including high blood pressure and diabetes. Recently, scientific studies have found evidence confirming these health claims. A number of researchers have been particularly interested in the potential of blackcurrants and other high-phytonutrient berries as a therapeutic option for high blood pressure and other cardiovascular diseases. A study that included women between the ages of 18 and 75 years found that participants who consumed higher levels of anthocyanins and flavones – an amount equivalent to 1-2 portions of berries daily – was found to have suppler arteries and significantly lower blood pressure. Certain compounds contained in blackcurrants have been found to lower blood pressure through exerting their effects on the blood pressure regulating system in the kidneys, which is known as the renin-angiotensin system. These compounds inhibit an enzyme that fuels signaling pathways that lead to increased blood pressure. In a clinical trial, researchers enriched commercially available mixed berries juices with blackcurrant extract and found that the enriched juice produced significant blood pressure-lowering effects, and there was an even more pronounced benefit occurring in participants with hypertension when they were compared to their normal blood pressure cohorts. Furthermore, the blackcurrant-enriched juice reduced blood pressure variability, making it more stable. Furthermore, in a study that measured blood pressure spikes in response to psychological stress among volunteers that had reactive hypertension, blackcurrant seed oil received high marks for blood pressure-lowering benefits. Reactive hypertension is a form of high blood pressure in which patients are susceptible to rapid and dangerous increases in blood pressure when they experience anxiety or stress. Researchers reported that blackcurrant seed oil inhibited blood pressure reactivity by more than 40%. The berry extract also produced a significant overall drop in diastolic blood pressure – the lower number of the blood pressure ratio signified the pressure in the arteries in between beats when the heart is relaxed. A number of laboratory studies have revealed the potential benefits of blackcurrants for the prevention and treatment of type 2 diabetes. In a study on mice, blackcurrant extract reduced obesity-associated inflammation. Over time, these low-grade, chronic inflammations can trigger metabolic disturbances that lead to impaired blood sugar control. When treated with blackcurrant extract, the mice displayed lower levels of key inflammatory markers, lower blood glucose levels, and lower cholesterol and triglyceride levels – all of which were important predictors of diabetes risk. Researchers concluded that blackcurrant consumption might, therefore, help counteract the detrimental effects of high-fat and high-cholesterol diets. A compound in blackcurrant called cyanidin-3-rutinoside (C3R) showed potential anti-diabetes effects by inhibiting carbohydrate-digesting enzymes, thereby limiting the digestion of carbohydrates. Researchers of one study concluded that C3R might be useful in the prevention of high post-meal blood sugar spikes that characterize type 2 diabetes. The same benefits of C3R might also occur in people with some forms of insulin-resistance and pre-diabetes, which could possibly be used to help those individuals avoid developing the disease.